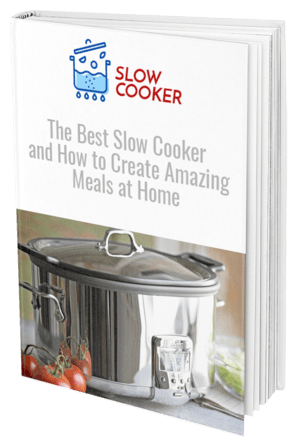 Slow cookers are the ultimate party accessory for serving up fresh and delicious meals to your guests. But did you know they’re also great for appetizers too, and not just the main event? These meals are ideal for preparing in the morning and letting cook as you go about party planning for the day, leaving you with a hot and delicious feast for family and friends. Here are a few quick and easy slow cooker appetizers to try out at your next party, thanks to the culinary geniuses at Betty Crocker. To serve up these delicious meatballs at your next event, you’ll need about 4 hours of cooking time prepared in advance. These zesty meatballs get their taste from loads of pineapple, curry and mustard, and dark brown sugar. Throw the pineapple, curry powder, mustard, and dark brown sugar into a saucepan to cook and then prepare your meatballs separately. 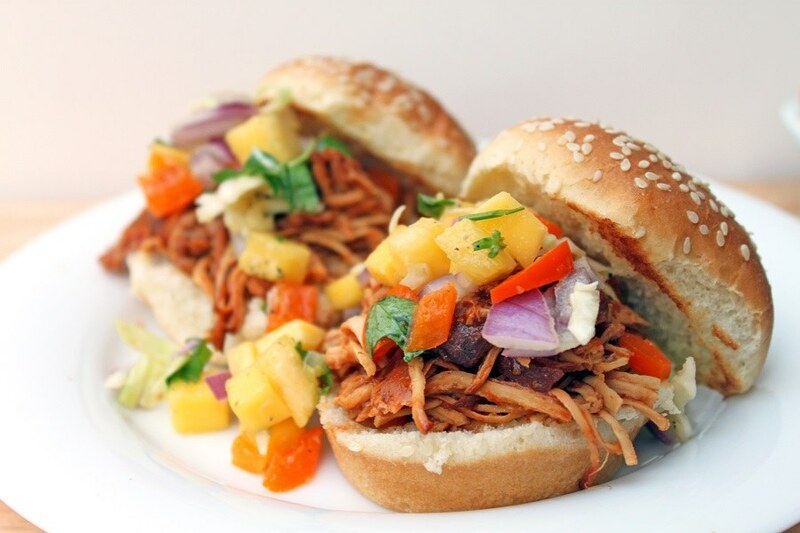 Put both ingredients into your crockpot and let the flavors develop over four hours. 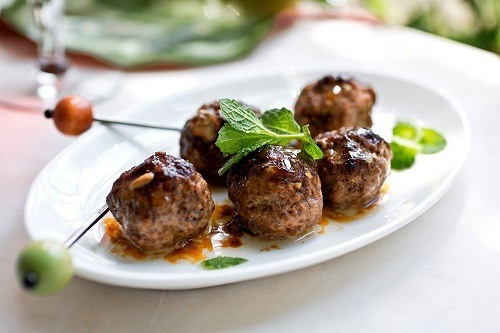 When it’s time to serve, add some simple toothpicks into the meatballs for an amazing stand-up cocktail appetizer. 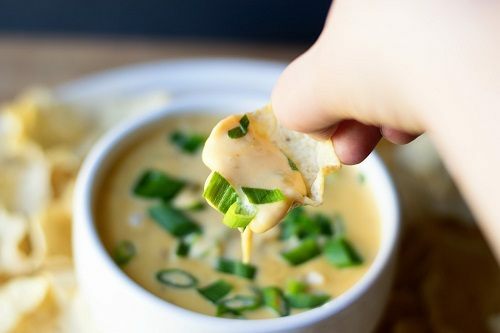 This simple recipe can be served with a side of tortilla chips, and the dip will hold for at least two hours on a low heat in your crock pot. All you’ll need is some prepared cheese product and canned tomatoes to make this flavor sensation. Add one can on fire roasted tomatoes and chilis to the slow cooker, followed by a loaf of cheese cut into small blocks. Cover with the lid and cook on a low setting for 2-3 hours until the cheese is cooked. Continue scraping down the edges of crock pot to ensure dip doesn’t melt. An appetizing dish to satisfy every taste at your next party, these mushrooms are rich, creamy and packed full of flavor. For the best results, you’ll need to cook these about eight hours prior to the party on a low setting, so it’s handy to set and forget as you prepare for the event. 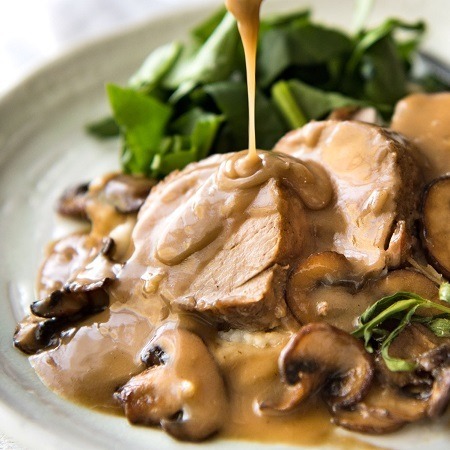 Cook mushrooms and butter first in your crockpot, and then add layers of other ingredients to achieve the best flavor. Chicken stock, shallot, garlic, parsley, and Marsala will bring the essence to this dish, and once it’s done cooking simply add in some heavy cream for richness. Serve to your guests with toothpicks, or freshly sliced bread and warm pasta for a more satisfying meal. The full flavors don’t only have to be left to your main course, and with these flavor-packed appetizers, you’ll be starting dinner off with a bang. Using your slow cooker to serve up entrees is the best way to keep everything tasting fresh and hot, so you can give your very best to friends and family.